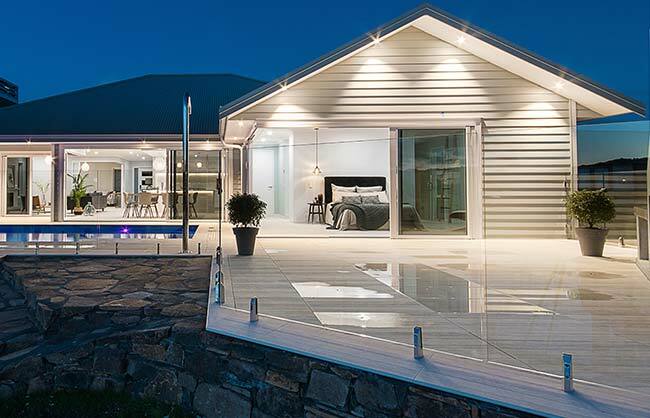 Our Waitoki project was completed for a residential customer managing their own new home build. 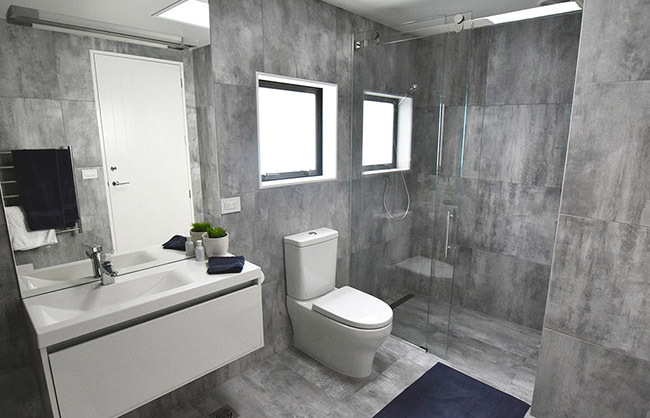 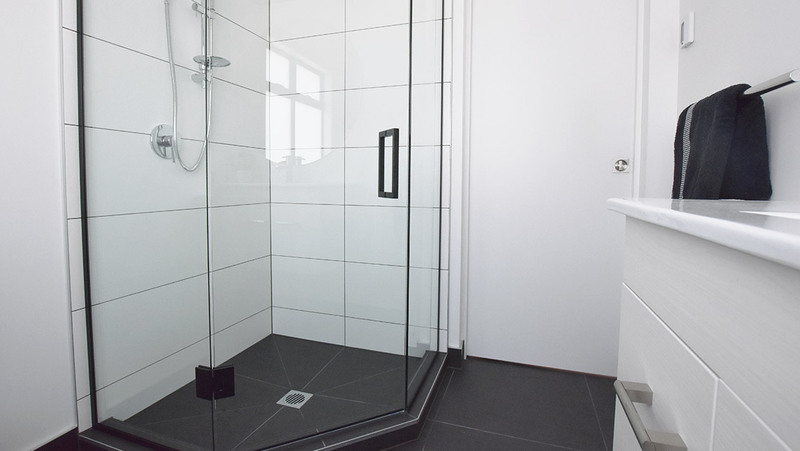 We were contracted to install custom frameless glass showers, splashbacks and circle mirrors. 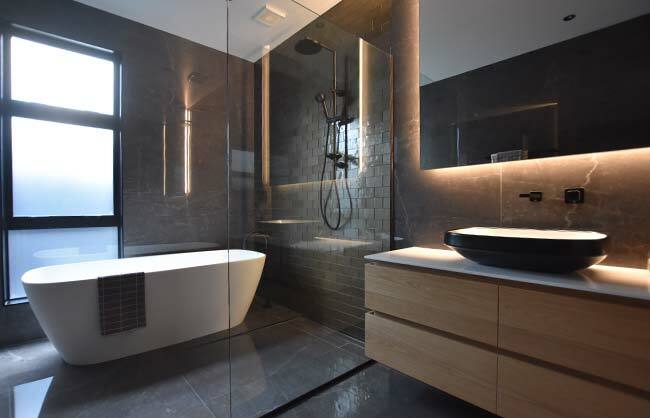 Styling was dark and contemporary in the kitchens with our smokey grey reflective glass splashbacks. 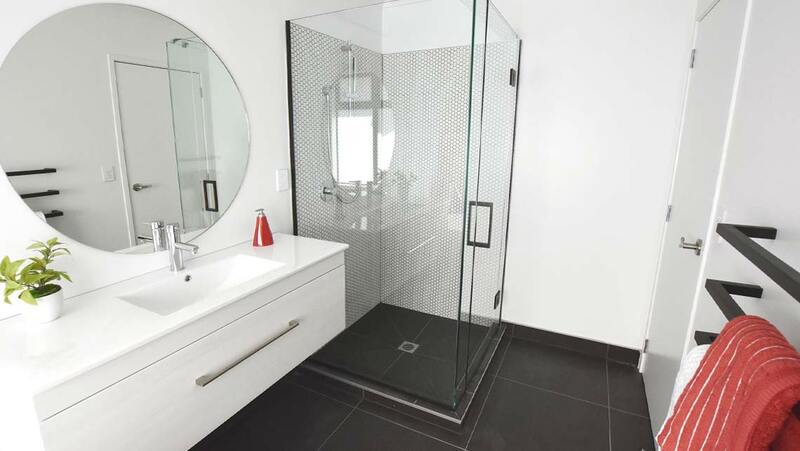 Bathrooms were bright and filled with light using 'ultra clear' shower glass. 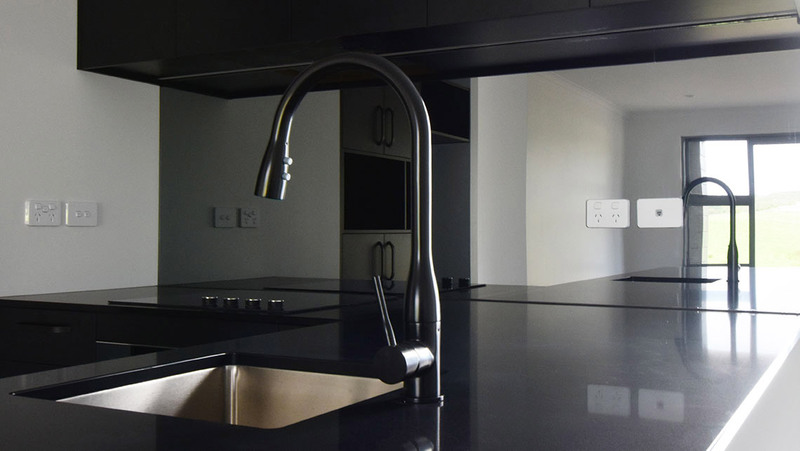 Our black hardware pulled in the modern theme from the kitchens.